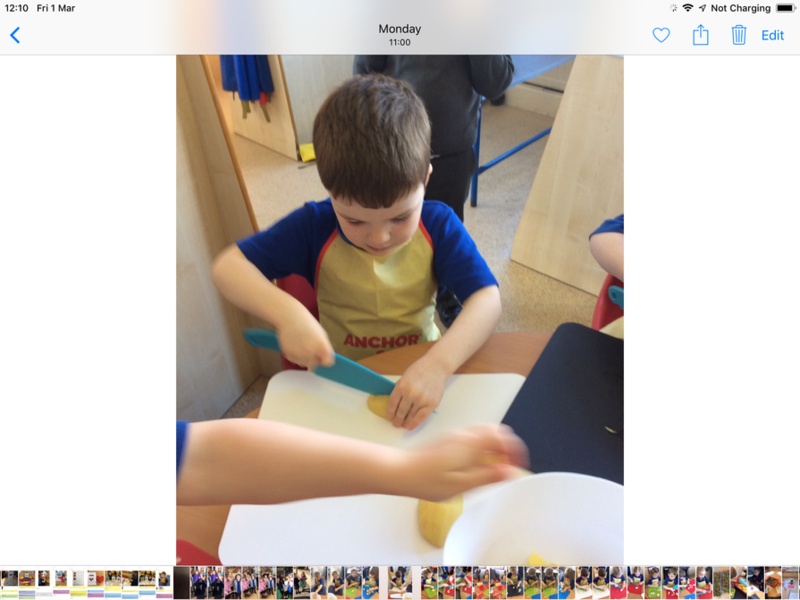 Reception have started their journey around the world. 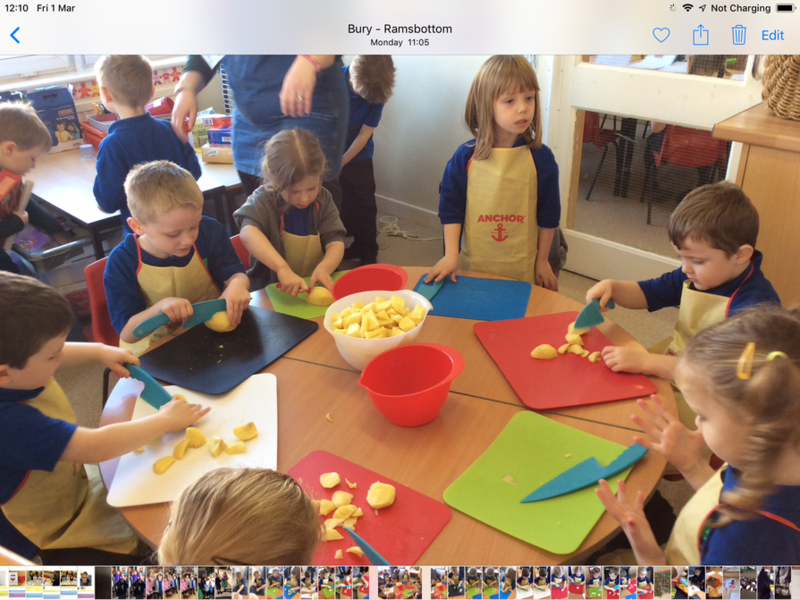 This week we have visited the UK. We have been booking days out in the UK, colouring the Union Jack and painting London Buses. 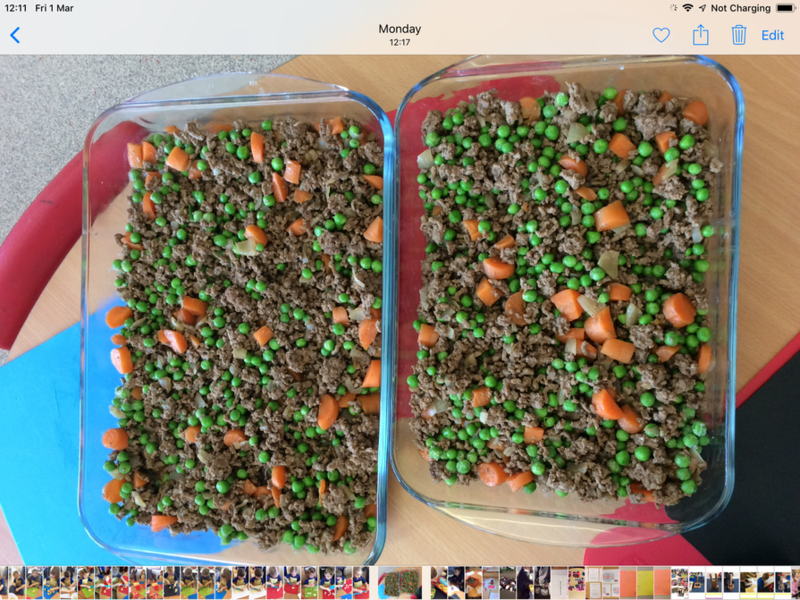 On Monday a group of children walked to the Co-op in Holcombe Brook and bought the ingredients to make a traditional UK dish, Shepherd’s Pie! 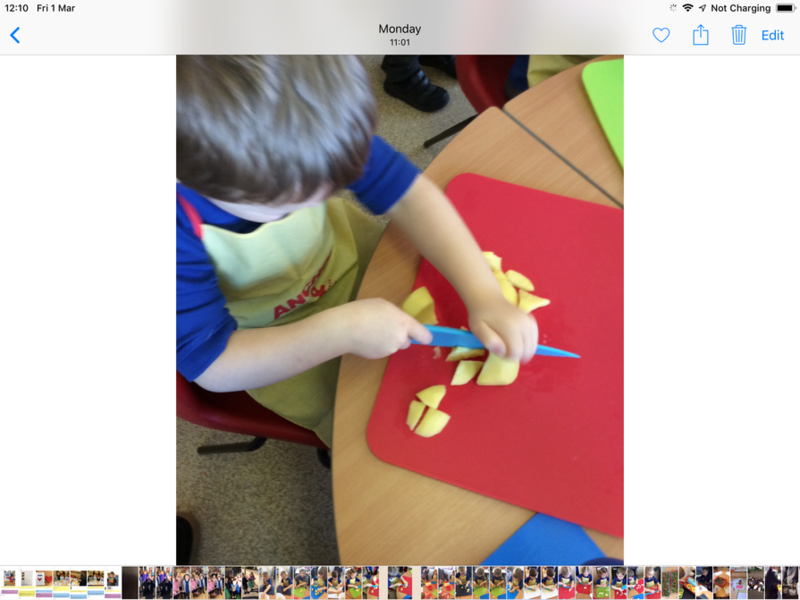 They carried the ingredients back to school and then did lots of chopping! 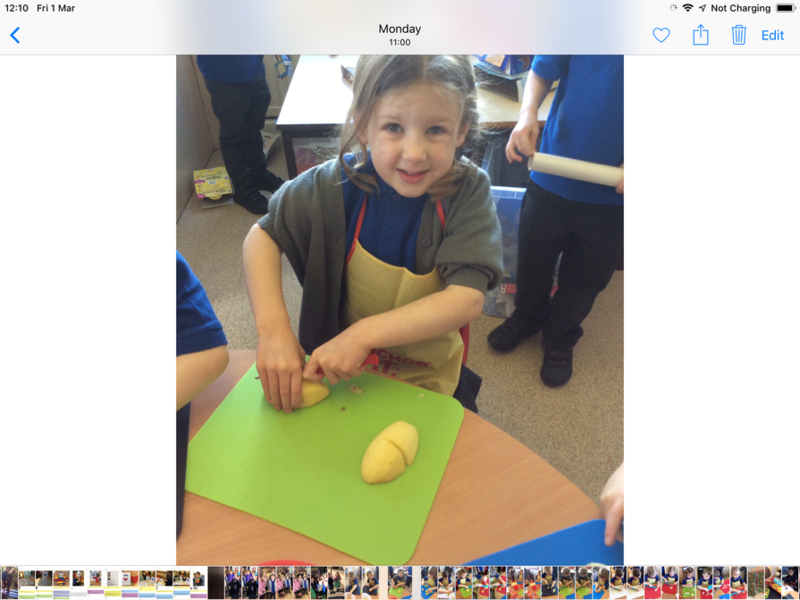 We also made a Vegan Shepherd’s Pie so that everybody could have a try! 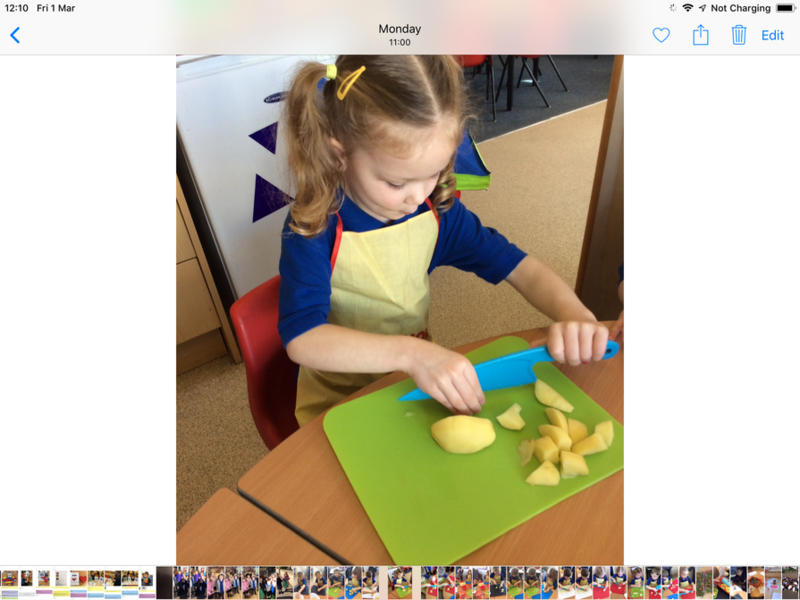 We have created a ‘Fruit & Veg shop’ in our classroom. 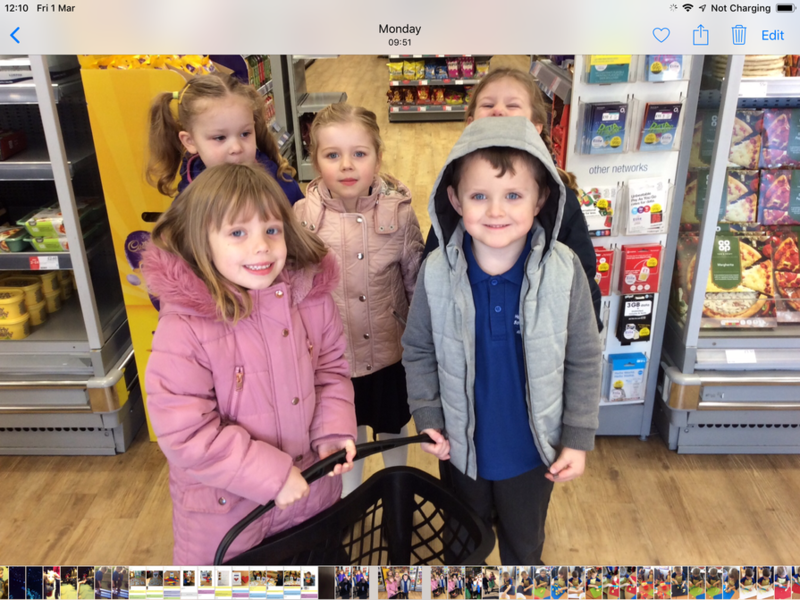 The children have to write a shopping list before they can go into the shop. 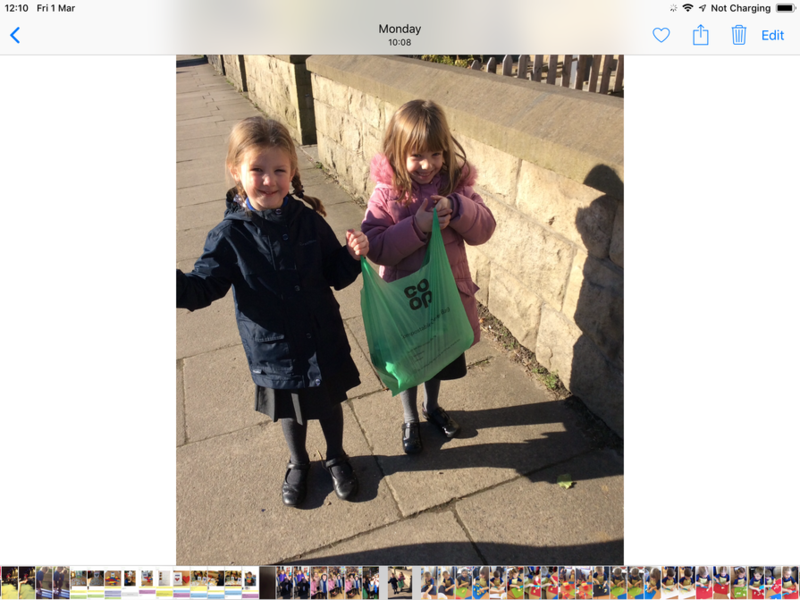 Then they have to find the correct coins to pay the shop keeper! 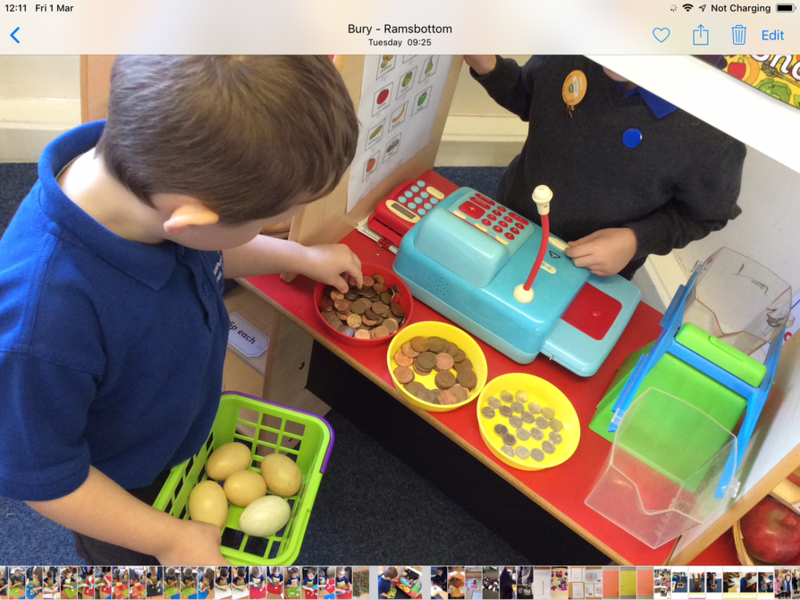 The shop keeper has to collect the coins and write a receipt! 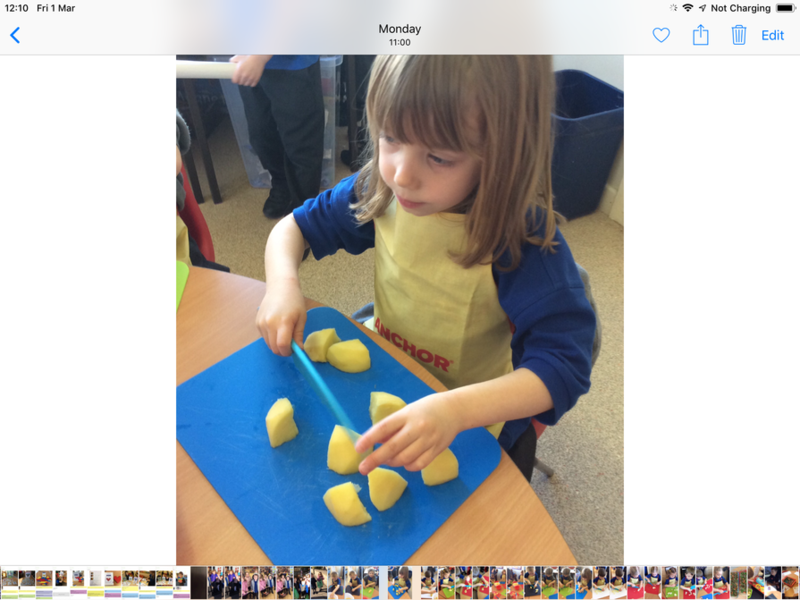 Lots of independent learning. 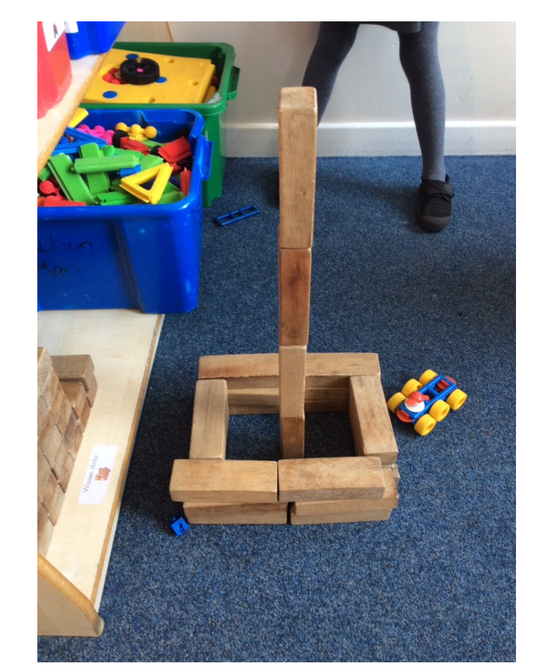 We have been creating buildings in the construction area. 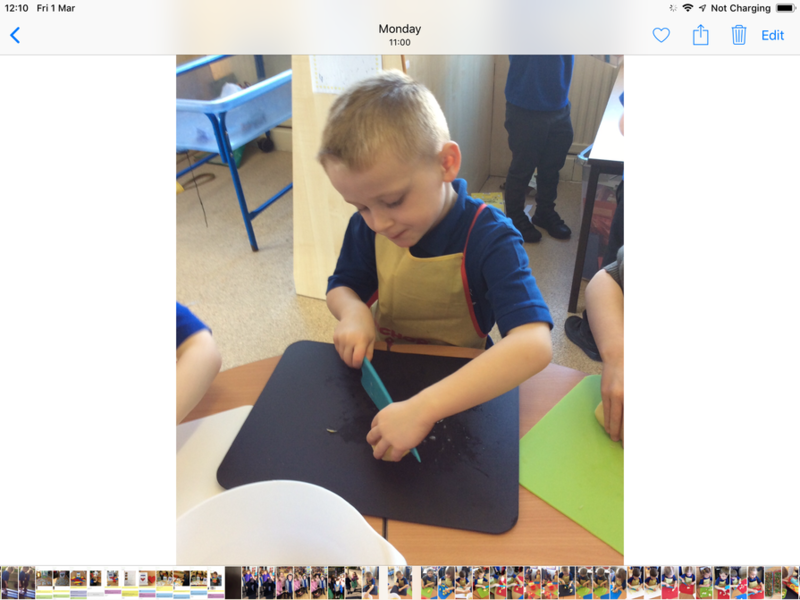 They have included sky scrapers, Peel Tower and a block of flats!